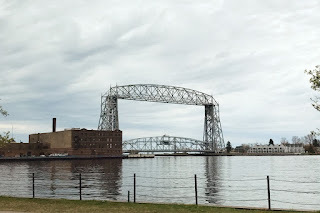 Here are some snapshots I took on our daytrip to Duluth - I think these are the last in the Duluth series. This is some art at the rest stop right outside Duluth. The views are super great from the parking lot. 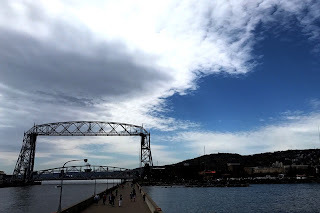 You can see the Aerial Lift Bridge and Lake Superior. 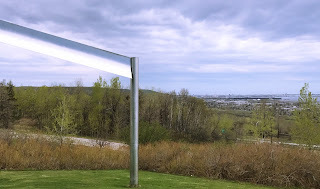 Then, if you look to the other side you can also see Wisconsin. This is Uncle Harvey's Mausoleum. You can read all the weird stuff that's said about it here: Atlas Obscura. You can also buy the book here if you're more of a physical book person. Basically, no one knows what this is or what it was used for or why it exists. It's just one of those random things you find. 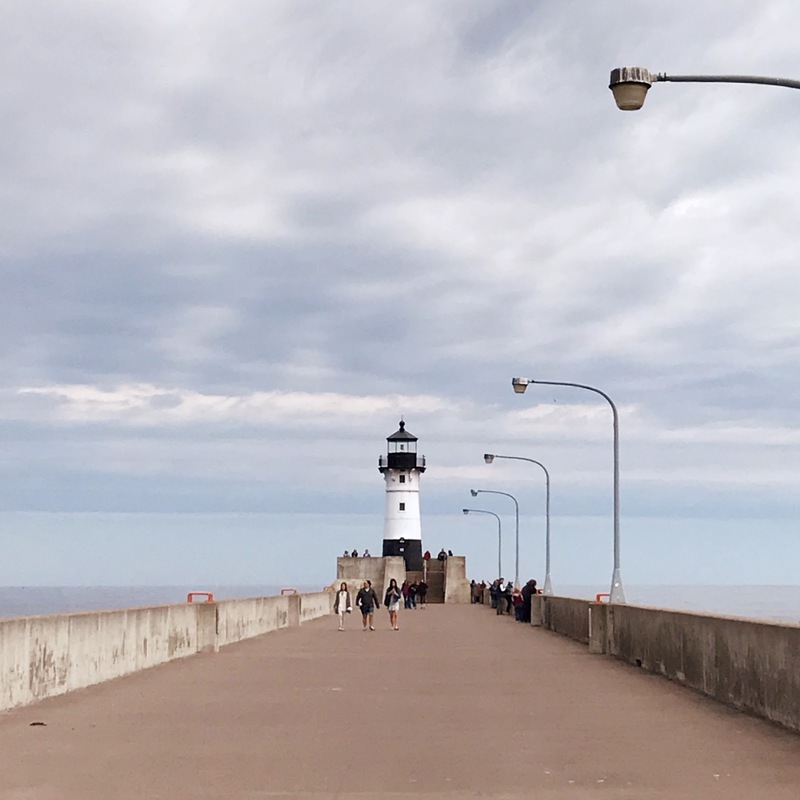 This is the view you get as you walk towards the lighthouse. If you bring a lock, you can lock it here. 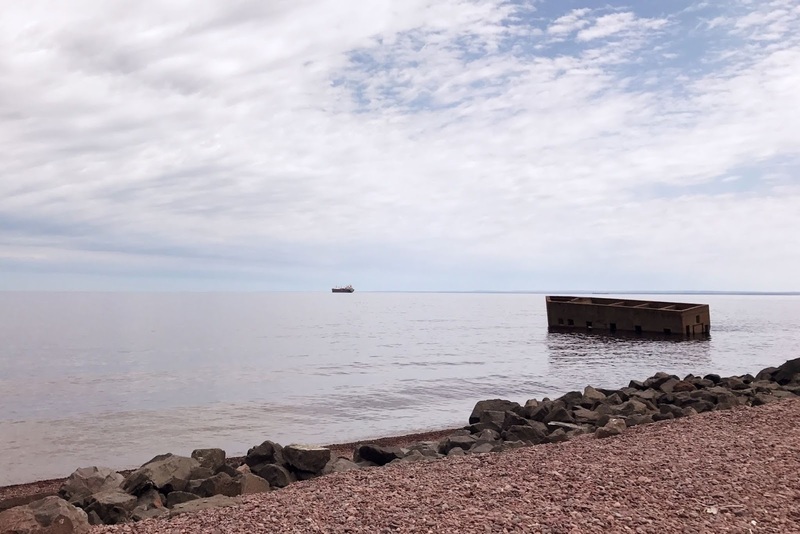 This is when we finally made it to the Duluth North Point Lighthouse. 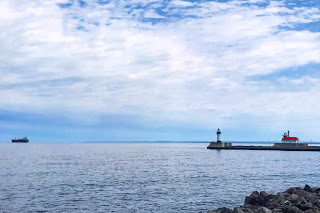 I guess I just don't understand the allure of lighthouses. I give them a chance and am always like,"oh, well, that was underwhelming." 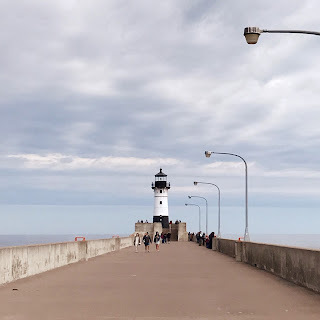 However, there are lighthouse enthusiasts and when I got to the lighthouse there was a lighthouse enthusiast next to me. 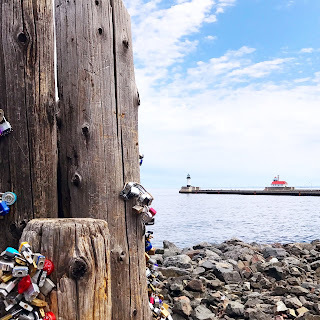 I actually learned a lot, so maybe my tip would be bring a lighthouse enthusiast with you. 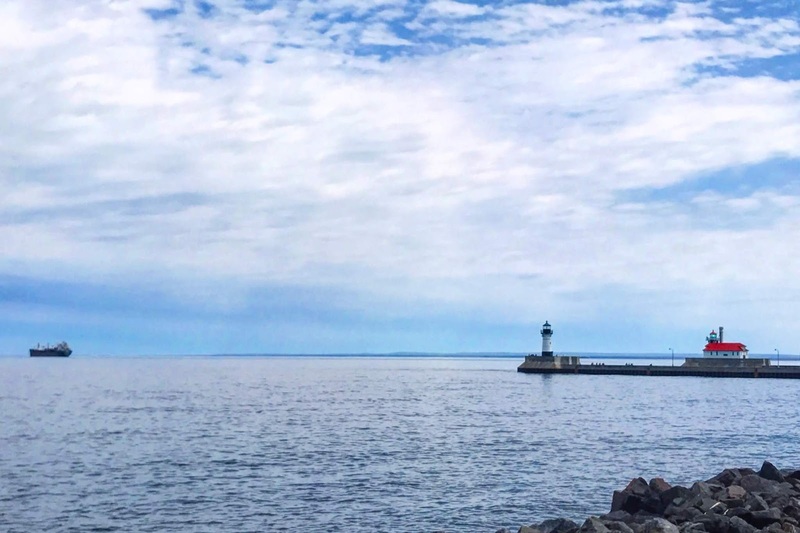 You do get a nice view of the shoreline from the lighthouse. 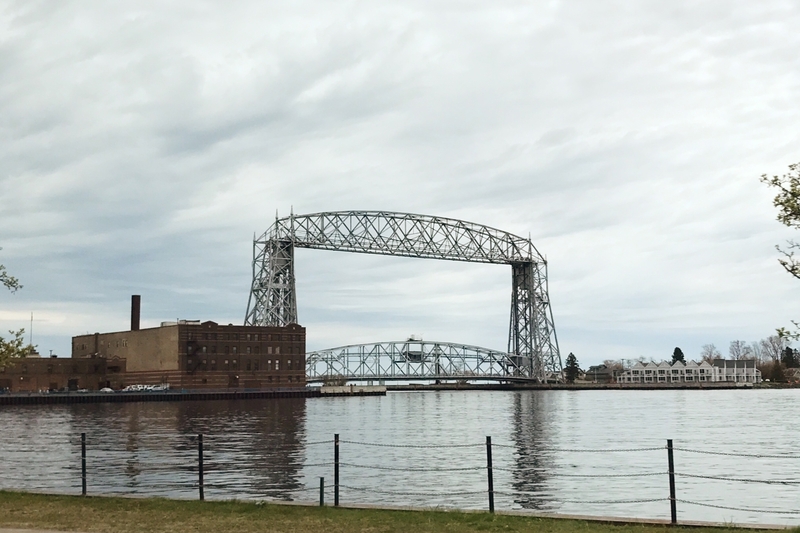 You do get a nice view of the shoreline and the Aerial Lift Bridge from the lighthouse. Depending on your luck, you may actually see the lift bridge in operation. I remember going to Duluth for some soccer tournaments in high school and seeing HUGE ships go through back out to Lake Superior.